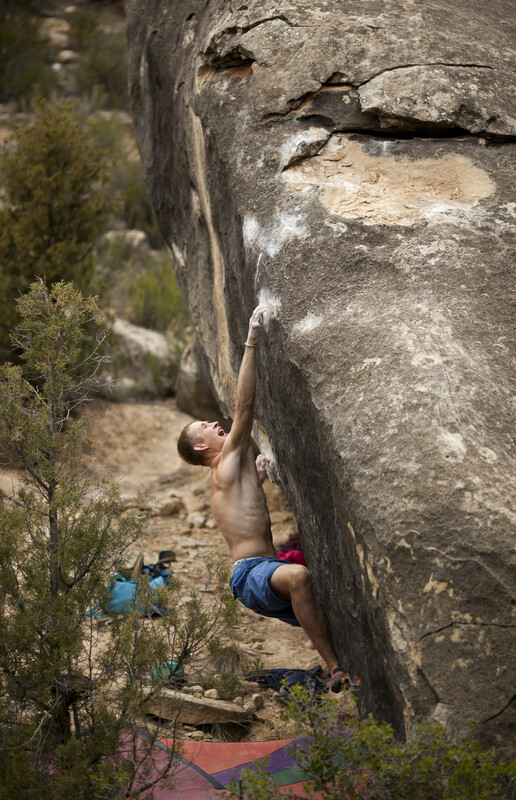 Many traveling boulderers have either visited or heard stories from Albarracín. On the other hand, Alcañiz has remained relatively unknown destination for many. This is about the change soon as the new .premium guidebook made by the local climbing association has just been published and the word about this amazing sandstone area is spreading fast. Create your free account to 27 Crags and get one week access to .premium with hundreds of guidebooks, Alcañiz & Albarracín included! Currently Alcañiz has more than 1500 boulder problems and there’s approximately the same amount waiting to be opened! This means that there’s a good chance that Alcañiz will become even bigger than its sister Albarracín. Here’s a list of the best boulder problems from Alcañiz collected by the climbers who’ve been developing the area in the recent years. Tibo and Baloo 6A+, Alcañiz. Via Sangre 7B, El Anfibio. Cover photo by Fer Pieruz, all the other photos by Mikael Uponen / Weak Fingers.